A study by University of Maryland School of Public Health researchers showed that exercise was associated with improved brain function in adults diagnosed with mild cognitive impairment (MCI) and a decrease in the blood flow in key brain regions. "A reduction in blood flow may seem a little contrary to what you would assume happens after going on an exercise program," explained Dr J Carson Smith, associate professor in the Department of Kinesiology. "But after 12-weeks of exercise, adults with MCI experienced decreases in cerebral blood flow. They simultaneously improved significantly in their scores on cognitive tests." Dr Smith explains that for those beginning to experience subtle memory loss, the brain is in "crisis mode" and may try to compensate for the inability to function optimally by increasing cerebral blood flow. While elevated cerebral blood flow is usually considered beneficial to brain function, there is evidence to suggest it may actually be a harbinger of further memory loss in those diagnosed with MCI. The results of the study suggest exercise may have the potential to reduce this compensatory blood flow and improve cognitive efficiency in those in the very early stages of Alzheimer's Disease. For this study, changes in cerebral blood flow were measured in specific brain regions that are known to be involved in the pathogenesis of Alzheimer's disease, including the insula (involved in perception, motor control, self-awareness, cognitive functioning), the anterior cingulate cortex (involved in decision making, anticipation, impulse control and emotion) and the inferior frontal gyrus (involved in language processing and speech). Specifically, among those with MCI, the decreased cerebral blood flow in the left insula and in the left anterior cingulate cortex were strongly correlated with improved performance on a word association test used to measure memory and cognitive health. A previous publication focused on how the exercise intervention influenced changes in the brain's neural networks known to be associated with memory loss and amyloid accumulation, which are both signs of MCI and Alzheimer's. 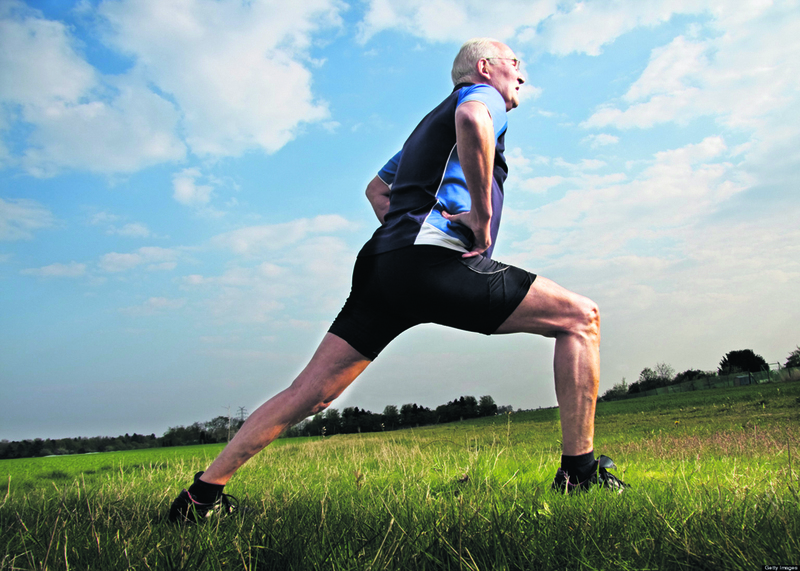 "Our findings provide evidence that exercise can improve brain function in people who already have cognitive decline," Dr Smith said optimistically. "We have an interest in targeting people who are at increased risk for developing Alzheimer's earlier in the disease process. We are seeing that exercise can impact biomarkers of brain function in a way that might protect people by preventing or postponing the onset of dementia."